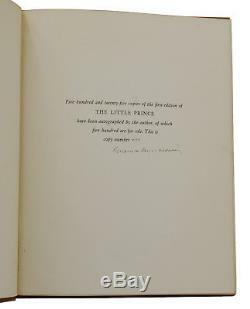 One of 525 numbered copies, signed by Antoine de Saint-Exupery. 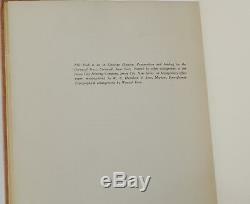 New York: Reynal & Hitchcock, 1943: Signed limited first edition. 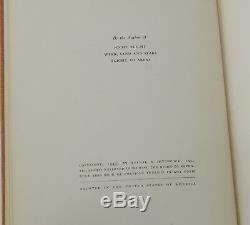 Number 435 of a limited 525 numbered copies, signed by Antoine de Saint-Exupery. 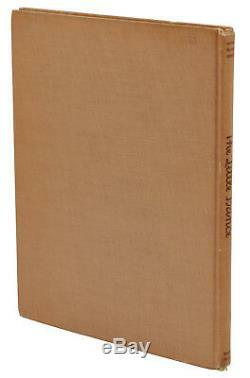 Bound in publisher's salmon cloth stamped in maroon, with five-line colophon at rear printed in italics; lacking the dust jacket. Near Fine, with bump to top edge of front board, light wear at the spine ends. Very, very faint discoloration to cloth at bottom corner of rear cover, visible only from a certain angle. Previous owner name to front free endpaper. However, signed copies of are rather scarce, since during the month of publication, the aviator-author was called to serve in the Free French Air Force. While flying a reconnaissance mission the following year, he disappeared over the Mediterranean Sea without a trace. 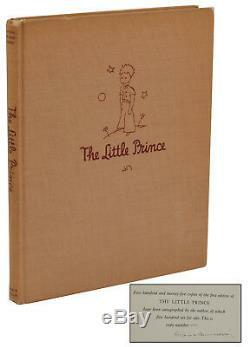 The item "The Little Prince ANTOINE DE SAINT-EXUPERY Signed Limited First Edition 1st 1943" is in sale since Monday, September 17, 2018.